Thinking about how small screens on mobile devices are and where can you fit a menu in there? Think no further! We got you covered with a simple, beautiful, and small thumbnail sidebar navigation that will ease your browsing experience! 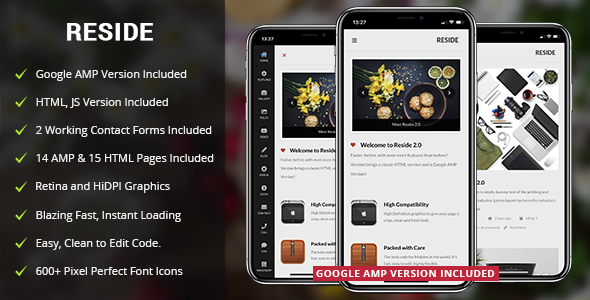 Reside is a Mobile Template and is offering all mobile compatibility.